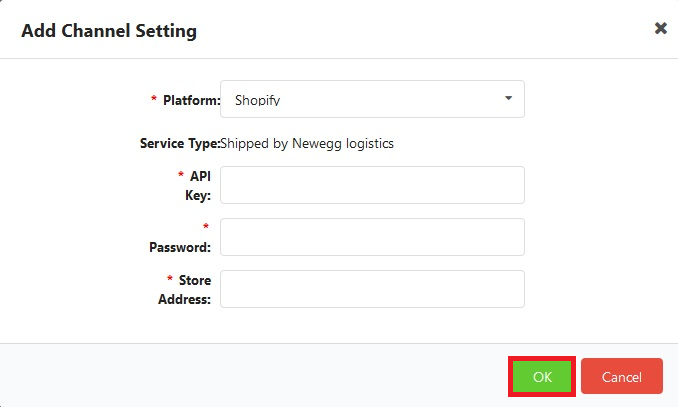 Client can provide account credentials of a third party platform so that Newegg can retrieve order information automatically. Select a platform Newegg currently support, and input client’s Account credentials of that platform (i.e. API key & account password, etc.). Click OK button to save the data. There might be additional configuration or mapping needed for each channel. Please notify Newegg Account Manager if you like to authorize Newegg retrieve orders from 3rd party platforms. You must have a Professional selling plan with Amazon Marketplace before you can authorize Newegg to access Amazon Market Web service (Amazon MWS). Go to the User Permissions page in Amazon Seller Central and log into your Amazon seller account as the primary user. Click the Authorize a developer button. Enter Newegg UIH in the Developer name text box, and then 6073-1143-6049 in the Developer ID text box. Click Authorize a developer. Then log in Newegg Logistics portal. Go to Manage Account > Channel Settings. Click Add Channel Setting button. Select Amazon USA from the drop-down option. 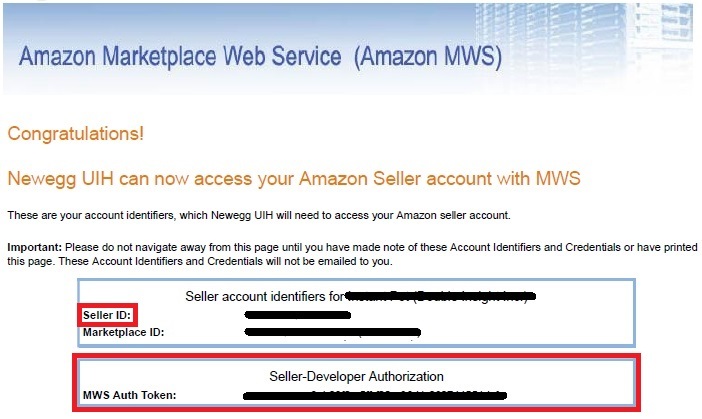 Input Amazon Seller ID & Amazon MWS Auth Token from previous step, and click OK button. You have complete the setup, and Newegg logistics services can access your Amazon seller account through Amazon MWS. Log in Newegg Logistics portal. Go to Manage Account > Channel Settings. Click Add Channel Setting button. Select eBay USA from the dropdown option. Click Manage icon, and then Edit icon. Click Authorized to order and shipment button. User will be redirected to eBay login page at another window. Sign in your eBay account to associate it to Newegg Logistics services. Read and descriptions carefully, and click Agree button to authorize Newegg Logistics services access your eBay account. 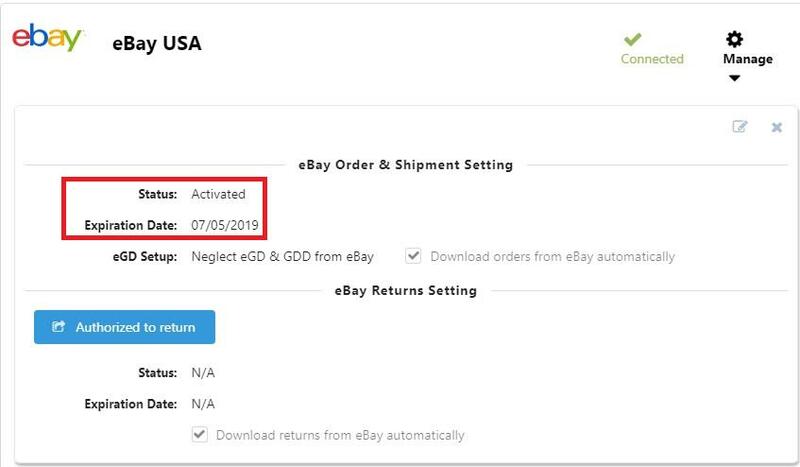 Once the authorization is validated, you can find the authorization Status changed to Activated and the Expiration Date under eBay Order & shipment Setting. eBay allows the token with limited time of use. You need to authorize it again after it is expired. Neglect eGD & GDD from eBay: Newegg will NOT check if eBay orders are guarantee delivery or not. Do not change shipping service based on eGD & GDD: Newegg will check if eBay orders are guarantee delivery or not and retrieve guarantee delivery date. When estimated delivery date of an eBay order is later than guarantee delivery date, Newegg still process the orders but will send out additional delay notices to clients through emails. Automatically upgrade shipping service to meet requirement of GDD:Newegg will check if eBay orders are guarantee delivery or not and retrieve guarantee delivery date. When estimated delivery date of an eBay order is later than guarantee delivery date, Newegg logistics service will change the shipping service to meet the promise date accordingly. An additional shipping charges will apply, and Newegg will send a service upgrade notice to clients through emails. Suspend SO Processing and wait for response: Newegg will check if eBay orders are guarantee delivery or not and retrieve guarantee delivery date. When estimated delivery date of an eBay order is later than guarantee delivery date, Newegg Logistics services will pause order processing and notify clients about the cases through emails. Client must decide a new shipping service or cancel the orders through Newegg portal in a timely manner. Newegg Logistics service is not responsible for the delay if not responded. 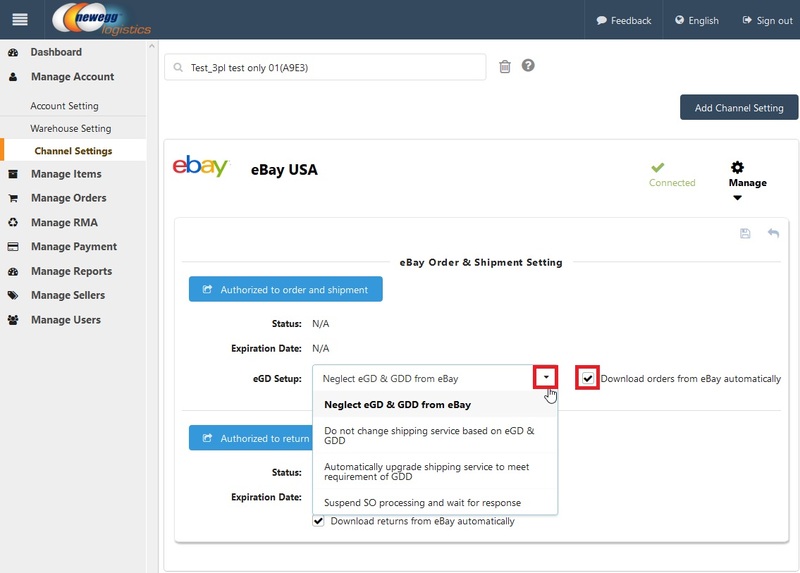 Newegg logistics service can import your eBay order to our portal directly. Please check the box of Download orders from eBay automatically if you like us to do so. 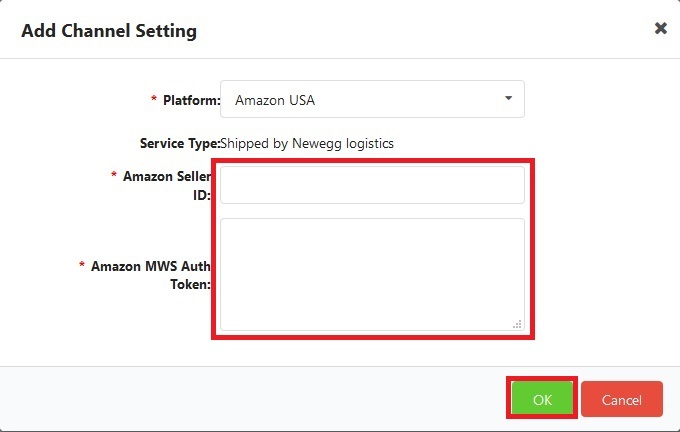 If you manage eBay orders through a 3rd party platform, and DO NOT want Newegg Logistics services to retrieve from eBay, please uncheck the box. 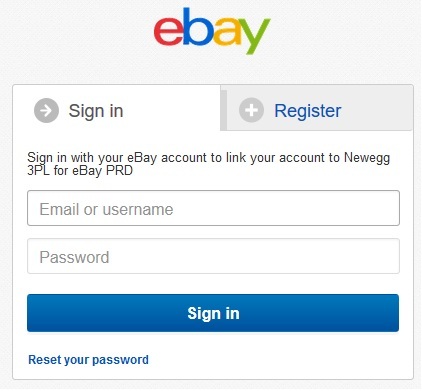 Clients can authorize Newegg logistics services to access their eBay returns by clicking Authorized to return. User will be redirected to eBay login page at another window. 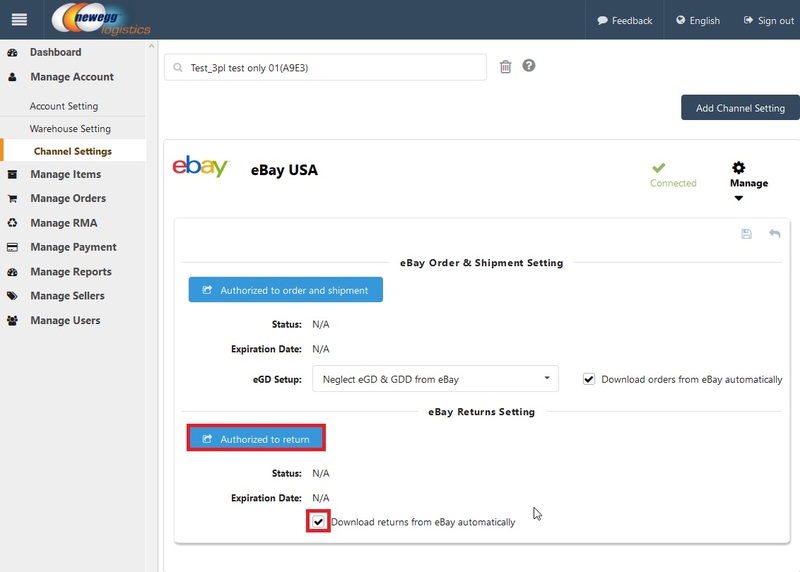 Once the authorization is validated, you can find the authorization Status changed to Activated and the Expiration Date under eBay Returns Setting. 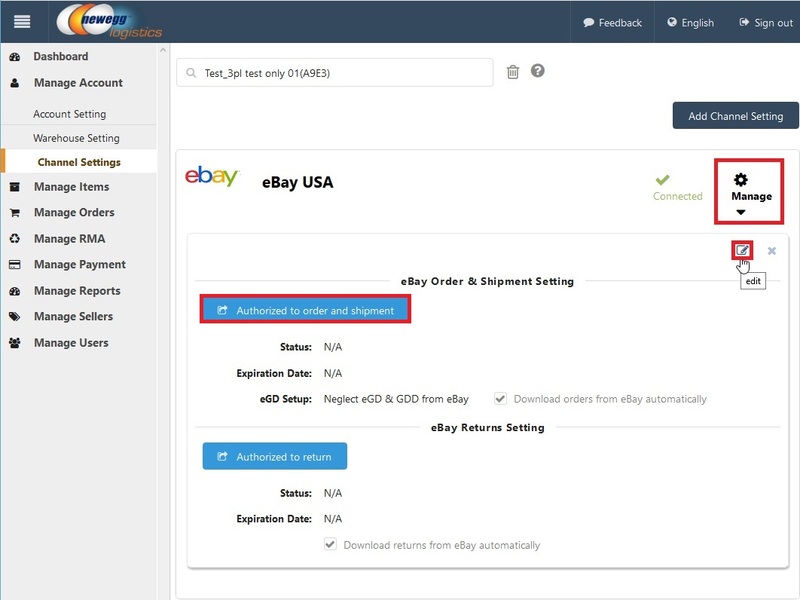 Client can uncheck the box of Download returns from eBay automatically if they no longer need RMA services from Newegg Logistics service after authorization. 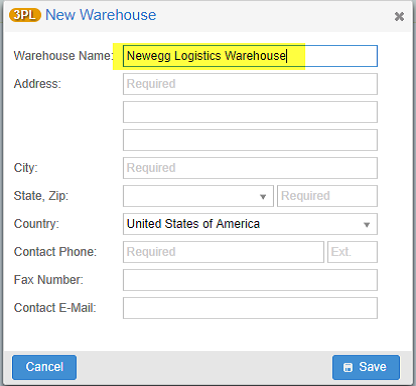 Log in SellerCloud portal, and create a user account for Newegg Logistics Services. Edit user access of this new user by going to Security > WebPage Access, and check Deny Access box. Log in Newegg Logistics portal. Go to Manage Account > Channel Settings. Click Add Channel Setting button, and select Seller Cloud. Then, click OK button. 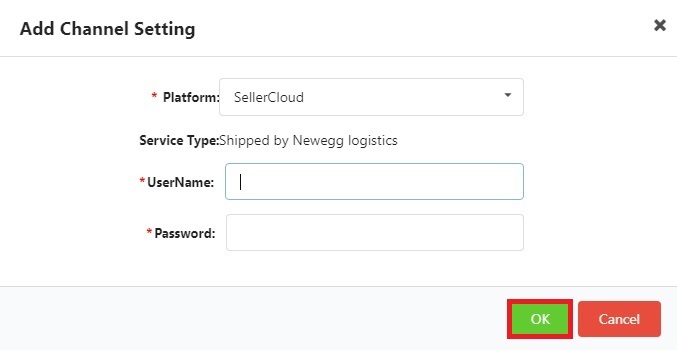 Clients need to setup a warehouse for Newegg Logistics in Seller Cloud portal to update inventory, retrieve orders, and update shipment details. Newegg Logistics services will retrieve orders with status = “Charged” or Unshipped” allocated from this warehouse every hour, and create orders in Newegg Logistics portal. 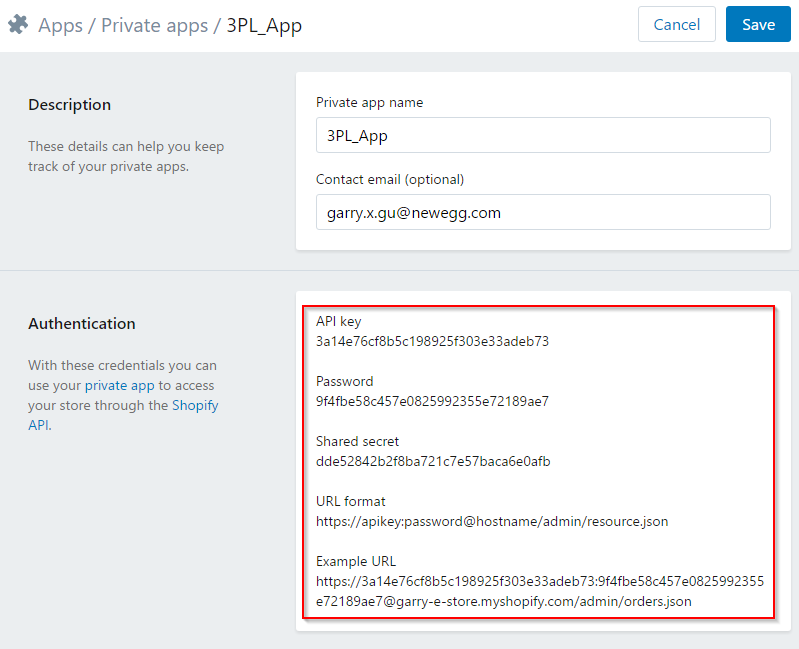 Client log in ShipStation portal, and find an API Key (Username) & API Secret (Password) under Setting. Log in Newegg Logistics portal. Go to Manage Account > Channel Settings. 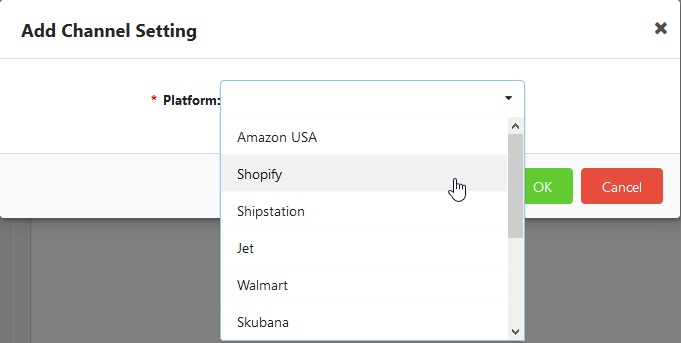 Click Add Channel Setting button, and select ShipStation. Copy & paste API Key & API Secret (Password) retrieved from ShipStation to associated fields, and then click OK button. Log in Shopify Account. Go to the menu of Apps, and clicks View Private apps button. Then, click Generate API credentials button. Create a Private app name, and select options of access as screenshot below. Click Save button once it is done. Copy & Save API information (API Key & Password) from Authentication section. 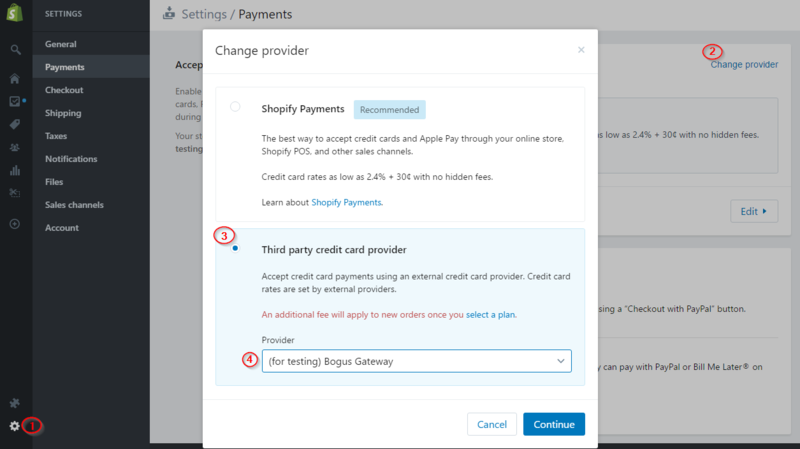 Select Shopify from the dropdown option. 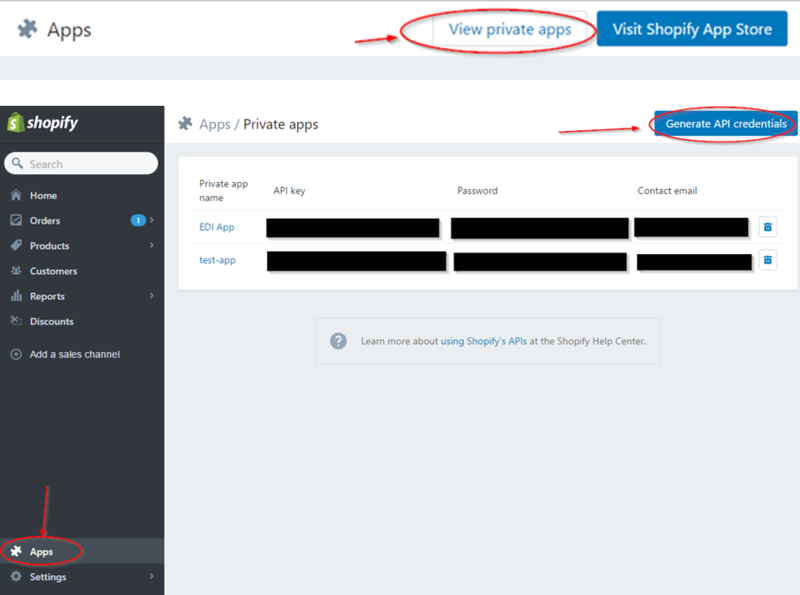 Paste API Key & Password along with Shopify Store Address to associate data fields respectively. Then, click OK button. 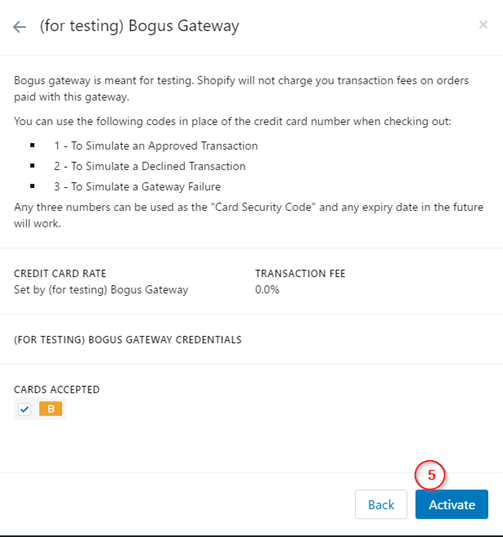 For testing orders, clients are recommended to set up Bogus Gateway as Payment method to avoid charges from Shopify. Go to Settings > Payments. Click Change Provider, and select (for testing) Bogus Gateway. Then click Continue button. 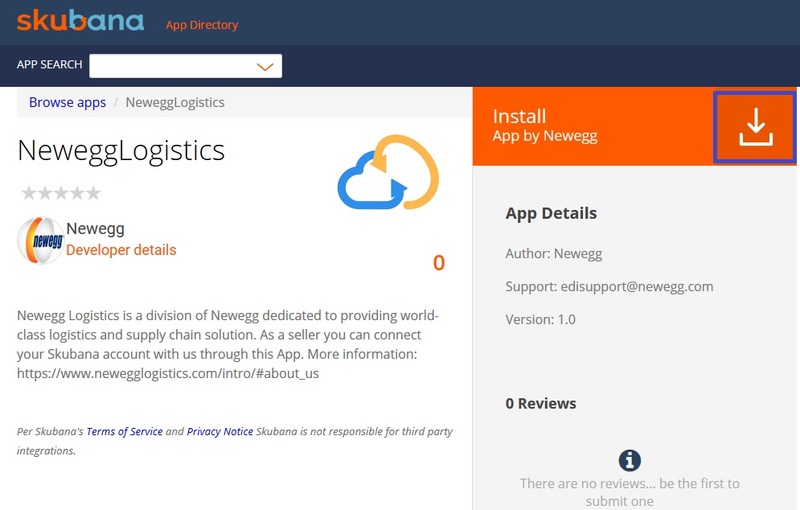 Now Newegg Logistics Services is ready to test the integration with you. This APP will redirect users to sign in Newegg Logistics portal. 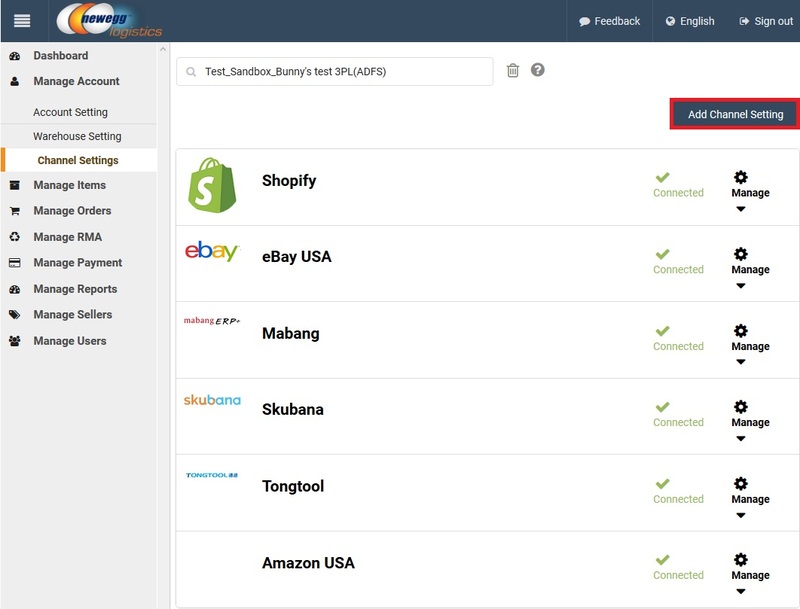 Once Skubana is displayed as Connected at Manage Account > Channel Settings, Newegg Logistics Services is authorized to access your Skubana Account. Client then set up a New Warehouse as “Third Party Logistics” at Skubana website. 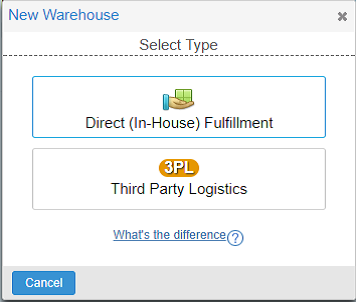 Provide Warehouse Name (i.e. Newegg Logistics Warehouse) to Newegg Logistics Service. We will retrieve and process orders dropped into this particular warehouse. 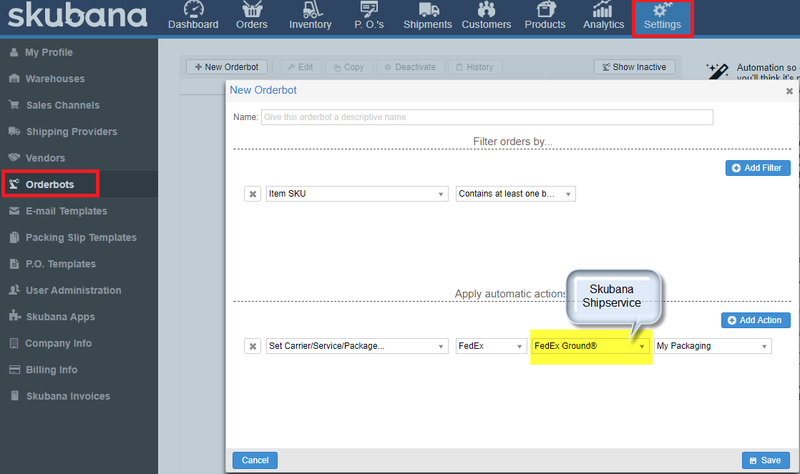 Set up shipping services at Skubana > Settings > Orderbots page, and advise how to convert each one to Newegg shipping services through an email. We will change it accordingly when order created in Newegg Logistics portal. Log in to Walmart Supplier Center. Click on the gear icon in the top-right of the screen. 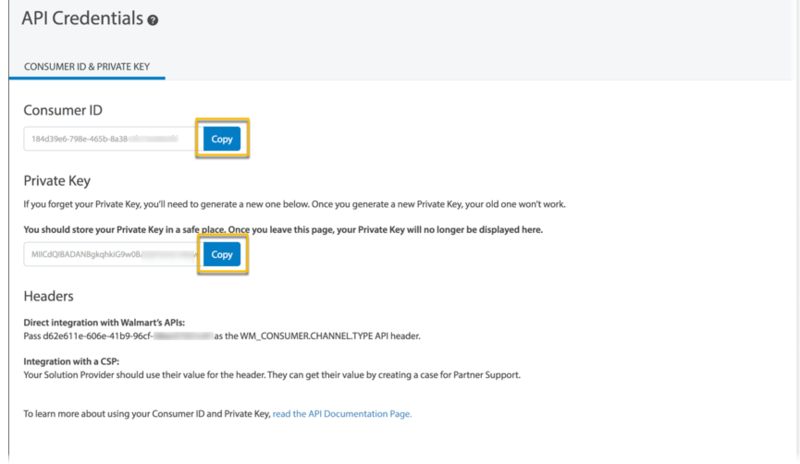 Under the Administrator Options section, click API Credentials. Make sure you are set up as an admin, who shall see this entire menu. If you’ve never generated a Consumer ID or Private key with Walmart, click on the blue Generate Consumer ID & Private Key button. After you generate your credentials, click the blue Copy buttons. Then log in Newegg Logistics portal. 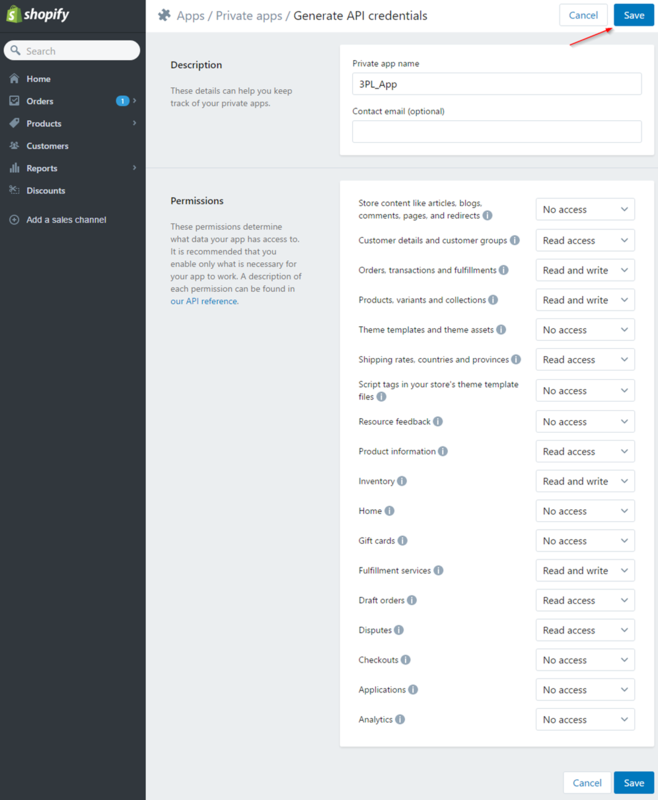 Go to Manage Account > Channel Settings. Click Add Channel Setting button. 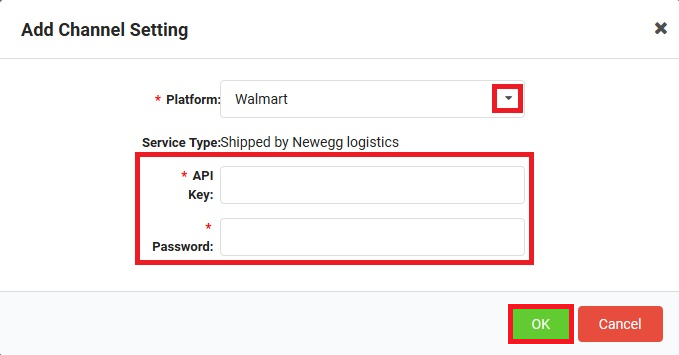 Select Walmart, and paste Private Key to API Key & Consumer ID to Password. Then, click OK button to complete the setup.